If you've interviewed for a retail job and received a job offer, it's important to check on what you should wear to work, so you have dressed appropriately. Your clothing will vary depending on the type of store. When you are hired, you will probably be told what the dress code is. However, if the interviewer doesn't mention it, you should ask. There's nothing much worse than to start your first day at a new job being overdressed or underdressed. 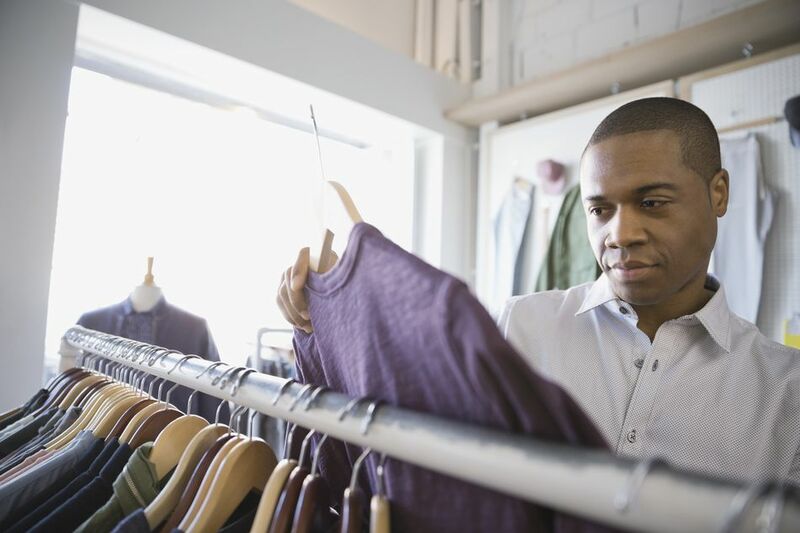 The following are guidelines for what to wear for a retail job, including designer stores, department stores, company stores, and big-box major retail stores. When you are working at a company store or an outlet, you may be encouraged, if not required, to dress in styles from their collection. Be sure you keep it on the conservative side though, until you establish what the guidelines are for employee attire. Not sure what to wear? Check with your supervisor or the store manager. Your supervisor will be happy to answer questions about what is acceptable during work hours. Keep in mind that most stores offer employee discounts, so take advantage of our discount if you do need to wear clothes from the store you're working at. Review the difference between business and business casual attire for more guidance. At a department store, there may be variation by department, but most likely you will be expected to arrive dressed in business casual attire. Business casual encompasses a wide variety of looks, some more formal than others, and as always, it is wise to dress a little more conservatively and formally at first, until you get to know the expectations of your supervisor. For men, business casual means chinos or dress pants, a button-down shirt with or without a tie, possibly a polo shirt, and loafers or dress shoes. For women, business casual encompasses a skirt (not a micro mini! ), slacks, blouse, sweater, twinset, (optional) jacket, and closed toe shoes or boots. Some companies allow jeans all or some of the time. Most companies rarely allow sneakers or open toe sandals. When you are working at a jewelry store or designer shop, the expectation is probably going to be that you wear business attire. For men, this means a suit, dress shirt, and tie, or slacks, dress shirt and tie, with a sports coat. Either should be worn with dark socks and dress shoes. For women, it means a pant or skirt suit with a blouse, or a dress skirt/slacks with a twinset, or with a blouse/sweater and jacket. Either ensemble should be worn with hosiery, and closed toe shoes. Women also have the option of a dress with a jacket, hosiery, and closed toe shoes. There may be some leniency and variation. For example, chinos may be acceptable for men, footwear may vary for women, and there may be days when business casual is fine. In general, though, it is always better to err on the side of conservative and formal when you begin a new position. When you work for one of the major retailers, the company will have a strict dress code for cashiers, as well as for other store employees. Big box retail stores may provide a t-shirt for their employees or may require you to wear a shirt of a specific color. The retailer may allow some choice in pants, or skirts for women, and footwear. Your attire may be a combination of pre-determined colors, in addition to designation styles. As with company stores, you may be able to use your employee discount to purchase what you need to wear to work. Before you start your job, check to be sure you know what you should be wearing and make sure you have the appropriate attire to start work. When you're hired by a retail store, you should be given a copy or told about the dress code. Be sure to check the company dress code if you have any doubts about what to wear to work. Also, you can always ask your supervisor, store manager, or a trusted co-worker, if they think a particular item or style is appropriate or not to wear to work. When you are a new hire if you have any doubt about whether something is acceptable, go conservative over casual.